Psychiatrists use psychoactive medication to treat a large number of psychiatric illnesses. It can be a fairly complicated subject, as there is often much talk of the various brain receptors that drugs target. Although this is important, it is difficult for the uninitiated, and I wrote this introduction for two psychologists who work in my team. This sort of medication is also known as ‘neuroleptics’ and ‘major tranquilizers’. 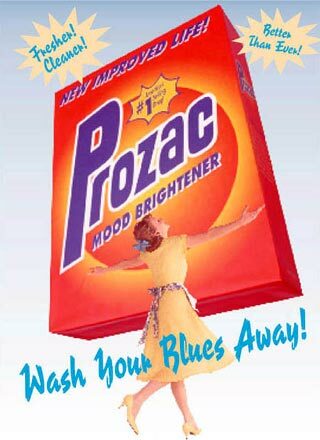 The first antipsychotic medication was introduced in the 1950’s and was Chlorpromazine. Since then many other drugs have been developed. Atypicals: are newer drugs and mostly still under license (i.e. more expensive). They have fewer extra-pyramidal side effects. Examples Olanzapine (Zyprexa), Risperidone (Risperidal), Quetiapine (Seroquel) and Aripiprazole (Abilify). Clozapine: This was the first atypical drug. It has proven efficacy in ‘treatment resistant’ schizophrenia but needs monitoring (especially in the first four months) as it can cause agranulocytosis (potentially fatal reduction in neutrophils – ‘white cells’). It also causes significant sedation, weight gain and hypersalavation. Although the true mechanism for how anti-psychotic medication works is not known – this is not surprising, as what causes psychosis is not known either – there is a direct positive correlation between the effectiveness with which these drugs block dopamine D2 receptors and their ability to treat psychosis; in part this has lead to the theory of schizophrenia being a disease of dopamine disregulation. As well as blocking D2 receptors, antipsychotic medications also block other dopamine receptors, serotonin and histamine receptors and this leads to their wide variety of side effects. With regard to these side effects, people often talk of ‘EPSE’s’ or ‘extra-pyramidal side effects’. Extrapyramidal tracts make a neural network in the brain involved in reflexes, locomotion, complex movements, and postural control. As well as very likely being involved in the pathogenesis of psychotic illness, dopamine has a role in these tracts so blocking its receptors causes problems with motor control. People who have been taking antipsychotics for a long time can develop symptoms similar to Parkinson’s disease and also something called tardive dyskinesia which involuntary grimacing and difficult to treat. With the exception of Aripiprazole anti-psychotics are generally held to be sedating (Olanzapine and Risperidone are the worst in this regard) and so are taken at night. An exception to this is Aripiprazole which is taken in the morning. Another reason that Aripiprazole is given is because it has less sexual side effects – a lot of these medications cause erectile dysfunction. Antipsychotics can be given in several forms. Most patients take their medications orally. This is convenient and painless, but suffers from patient adherence to regimes. People also get their medications in ‘depot’ form. This involves injections every two or four weeks, and overcomes poor compliance, but is painful and side effects more difficult to reverse. With the exception of Clozapine, the evidence suggests thatall antipsycotics are considered to be equally effective. This is a contentious issue because although atypical medications have been shown to be more efficacious than typicals during drug trials, typical and atypical medications have been shown to be equally effective when being used in the real world. Despite this we tend to prescribe atypical medications. Different drugs for different patients are chosen on the basis of side effect profile. 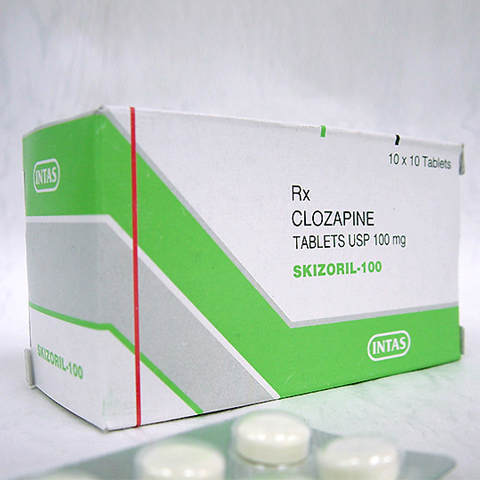 In order to be eligible for Clozapine, a patient must have been tried on two previous antipsychotics, of which one must be an atypical. There is some contention about how long antipsychotic medications take to work. Some say immediately, some say not. If a drug has had no effect by six weeks at an effective dose then it is unlikely to work. These days we usually prescribe an SSRI (selective serotonin reuptake inhibitor) such as fluoxetine (Prozac), as a first line medication in depression. These drugs work by inhibiting the reuptake of serotonin in the synapse. Briefly: serotonin is a molecule utilized in the body as a neurotransmitter. A synapse is a specialized gap between cells, and via them neurones (specialized brain cells) communicate; they do this by releasing neurotransmitters into this synapse. Once released, neurotransmitters are then metabolized (broken down) in the synapse or are taken back up into the cell (reuptake). By blocking this reuptake SSRI medications increase the amount of serotonin in the synapse and combat depression. SSRI’s also have side effects – the big one is agitation; anorgasmia is also reported. There can sometimes be a discontinuation syndrome when people feel unwell when they try to stop taking SSRI’s. This is not the same as being addicted. SSRI’s are normally taken in the morning. The other drug that people are sometimes on are tricyclic antidepressants. The most common of these is Amitriptyline. These are similar in their effectiveness to SSRI’s but their major disadvantage is that they can be fatal in overdose (SSRI’s are relatively safe). They can also be very sedating. TCAs are also prescribed at a low dose for neuropathic pain. For poorly understood reasons antidepressants have to be taken for a number of weeks before they become effective. It can be as much as six weeks before they start working. If SSRIs are ineffective then there are other drugs which work on different but related neurotransmitters can be used. The most popular of these are Mirtazapine and Venlafaxine. Mirtazapine is known to cause significant weight gain and sedation. People with bipolar affective disorder are felt to have an unstable mood. Hence they are suitable for a ‘mood stabilizer’. Of these, Lithium is the most well known. Its mechanism of action is not well understood, but it is known to stabilise cell membranes in the brain. Lithium has somewhat fallen out of favour recently as it is known to have a large number of side effects. These are both acute and chronic and can be fatal. Also given for bipolar disorder are drugs that were initially used as anti-epilepsy medication. This is not too surprising as they too stabilize cells membranes like Lithium. Of these the most widely used is Sodium valproate, less widely used is Carbamazepine. All three drugs have untoward side effects, especially Lithium which has a treatment dose which is close to its toxic dose (this is referred to as a ‘narrow therapeutic range’). This is why people often take ‘Lithium levels’ from patients who are taking lithium. Benzodiazepines are a major drug group here. They work by potentiating GABA transmission in the cell membrane and are effective in reducing anxiety. They can also be used for night sedation. Examples are Diazepam, Lorazepam and Temazepam. Benzodiazepine used to be prescribed a lot more than they are today. This is because they have potential for abuse and addiction. Shorter (i.e. faster) acting benzodiazepines such as lorazepam have the most potential in this way. Because of this they should only be prescribed for 14 days. Not used for anxiety management, but for night sedation is the so called ‘Z’ drugs Zopiclone and Zolpidem. These also affect GABA but via a different receptor. They do have some abuse potential, but not as much as the benzodiazepines. You may see that people who have the same diagnosis have very different drug regimes. This is because different consultants have different ways of treating patients based on their own experience. There is no set way to treat any condition, although NICE do provide guidelines, which most people adhere to. The central problem is that psychiatric disease classification is very elastic and drug treatment is therefore very variable also. Remember that a psychiatric diagnosis is not a disease, but simply a number of commonly co-occuring symptoms which have been grouped together into a syndrome. When a drug is prescribed you may hear of people referring to a patient ‘not being on a treatment dose’ this means that the person is on a dose of a drug which hasn’t been shown to treat the condition for which they are taking it, this is not good practice. When someone is started on a drug they should receive the lowest effective dose at the beginning, and this should only be increased once this has been shown to be ineffective. I honestly dont believe in any of this. I really believe people have thepower to heal themselves. After 100+ years of cancer research you mean to tell me theres still not a cure? Come on. They can take a computer that used to be the size of an entire room and make a blackberry now, but they havent advanced at all with medicine? B.S. I believe that in most cases involving physical deficiencies and imbalances, like my sister’s, combining natural therapies with the drugs may be the only answer. Several months ago, my sister went into another of her schizoaffective disorder-related relapses. Deciding that this would be a good opportunity to try something different, and wanting to grant her wishes to get off the drugs, I began tapering her off her anti-psych meds, that were giving her negative side-effects, and at the same time, started her on herbal therapies. After the tapering was over, I began with the detox vitamins and Omega-3. She improved every day for about 5 weeks, and then crashed. Within two days after nosediving, she was almost catatonic. She wouldn’t eat, or take her vitamins and herbs, or even get out of bed. The paramedics had to come and haul her away. The anti-psych meds had finally left her system. She was admitted to the hospital, and within only two weeks, stabilized on her old anti-psych’s, she left the hospital. (They took her off the herbs and vitamins while in the hospital). I’m pretty sure, had she not been put back on the antipsychs, that she would have lapsed into complete catatonia. Well, now she has a naturopath, and it was found that she is gluten-intolerant and dairy-sensitive. So all these years she has been eating foods she’s allergic to! She’s feeling much better, now, with the new diet, and vitamin/herb therapies. Combined with the pharmaceuticals, (the side-effects from which have subsided). This is the way I should have done it from the beginning, (actually I should have consulted a naturopath right then). So in this situation, I believe there is a place for prescription drugs. There are even pharmacies, now, that sell combination-therapy products. Hi, Once the dopamine receptors are blocked how long does it take for them to clear after stopping medication? What people need to realize is that the study of mental illnesses is a young science. Less than 200 years old. The brain is such a complex organ. It’s not as simple to figure out as the muscles or the heart. The brain and the body are WAY different than computers. And cancer is a mutated gene, by the way. It can adapt to survive medication. And the only medication that can eliminate cancer, is chemo and radiation. They both are very toxic, in case you didn’t know that either. How do you fight against something that has the ability to adapt and mutate to every drug that can be used against it? Before you make a statement like that, learn your facts. Rmazz, Here are some facts. Many people have cured cancer without chemo or radiation. It’s called natural healing. Haven’t you heard about Dr. Lorraine Day? And her huge breast tumor, due to invasive cancer which she cured after it was removed surgically, with lots of fresh vegetables and fruits, water, sun and exercise. If the body is returned to health, it should heal itself. Unless maybe the disease is caught too late. Medicine itself is very behind from the other sciences. Psychiatry is at its infancy. So these comparisons with blackberry and touchpads are very naive. As long as people with cancer are dying despite the huge medical efforts, is a further indication that there is no cure, at least at the present. If someone heals, they are lucky, that’s all. And i feel very sorry because the potential for agranulocytosis from Mirtazapine is the same as that of clozapine. The same applies to TCA-s. Anyone with a little logic can realize that any drug which suppresses the immune system via the histamine blockage can predispose people to carcinogenicity. This is not honest practice. Mirtazapine is a newer drug and they need to sell it, so they say it has no side effects (very few). Any psychiatrist who recommends Mirtazapine and is aware of its toxicity, is no more different than a criminal. To expect there to be a ‘cure’ for mental health problems shows a fundamental misunderstanding of what psychiatry studies and brings a n terms of treatment. Mental health is helped by psychiatric drugs, this is very individual, it is also just a small part of what is helpful to treat an extremely complex illness.